LinkedIn Profile Optimization: A quick cheat-sheet! Your LinkedIn Profile is just like your job resume. It is like your digital introduction to the world. So make sure you make it effective by efficiently optimizing. I know it is hard to write about yourself but you have to do it to initiate your professional branding strategy. So start transforming your under performing LinkedIn profile and make it a powerful one to attract your network connections by outlining your skills and experiences. Well below mentioned points will somehow help you out in clearing your doubts. Why it is necessary to optimize a LinkedIn Profile? LinkedIn has raised its user-base to 450 million as per the statistics for year 2016. With these huge figures in front of you, presence on LinkedIn has become mandatory more than anything. Establish and grow your valuable connections. Interact with other professionals in your niche. Help recruiters to find your best qualifications and experiences. LinkedIn is the place where if you are not looking for a job then too you’ll get number of job offers since recruiters are always active to look for the professionals like you. 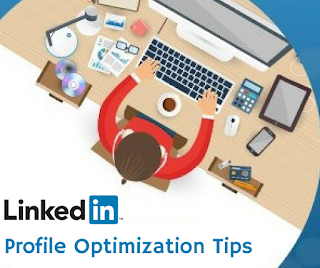 Here’s how you can optimize your LinkedIn profile! In your digital resume, a decent profile picture acts as your face to the world. Make sure to keep it updated, current and professional. Don’t make it funny or a party picture as it won’t last a good impression on recruiters there. Add your job position that you would like to target in your headline first. Add a particular symbol there like a star or a small circle. Then add specific keywords that best explains you and yes separate each keyword with the same symbol. Infuse your LinkedIn profile summary with relevant keywords! Well summary is the place for you to showcase your professional history. Describe what you do and how it help others in simple words using relevant keywords. Do mention your key achievements from your previous company and give it a short description. Include your contact information and make it easily approachable. So here are some basic modifications that need to be completed if you have not done it yet. Share your experiences in the comments below.